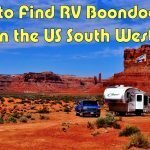 If you have followed the blog for a while you’ve come to know we love to boondock during our winter snowbird travels in the southwest. Over the last few years, I’ve been slowly outfitting the RV for off grid camping. We absolutely love the freedom. 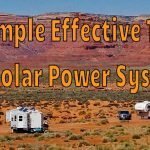 The core of our boondocking system is power generation in the form of solar panels, extra large battery bank, and a portable generator. 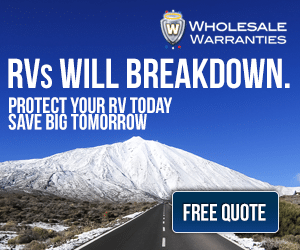 But beyond those essential items, there are many other mods and gadgets that have made our self-contained RV life a little easier. 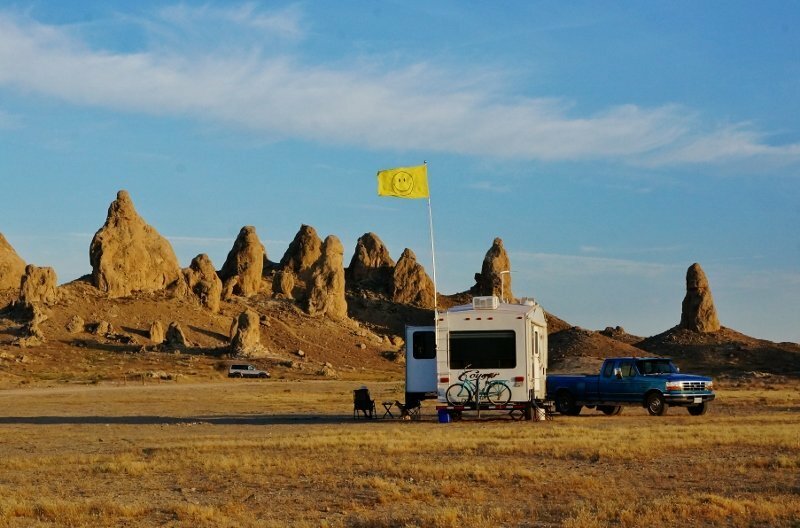 Here is a list of boondocking related items we put to use and why. 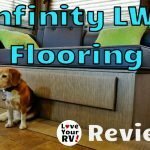 Hopefully, it will provide some ideas for those wishing to explore life outside a full hookup RV park or campground. Getting a detailed readout on the state the battery bank charge is vital. You’ll know when it is time to charge up the bank or if you should be adjusting power usage to conserve capacity. 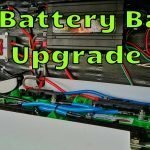 Letting batteries like our lead acid type run down too far can lead to reduced life and buying replacement batteries sooner than needed. In that respect, a quality battery monitor will pay for itself over time. Our Trimetric battery monitor helps out a great deal by listing voltage, amperage in and out, and percentage of charge left in the bank. After I installed the unit I wondered how I did without it before. Compared to the old OEM dummy light gauge or fussing with a voltmeter or hydrometer, the Trimetric is super convenient. 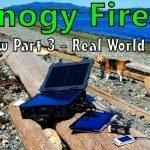 I purchased the Trimetric TM2030-RV since I’m also using Bogart’s SC2030 solar charge controller and they work well in tandem. Another brand of battery monitor I hear good things about is from Victron the BVM-700. Once I’m are well aware of how much power is left the next concern is fresh water tank level. In some ways, it is even more important since power can be generated but fresh water is limited. My OEM gauge listed 4 levels: Full, two-thirds, one-third and empty. Not all that helpful! So. 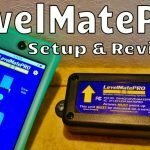 this summer I upgraded to the SeeLevel II monitor and now have a percentage readout that gives me 25 different levels. 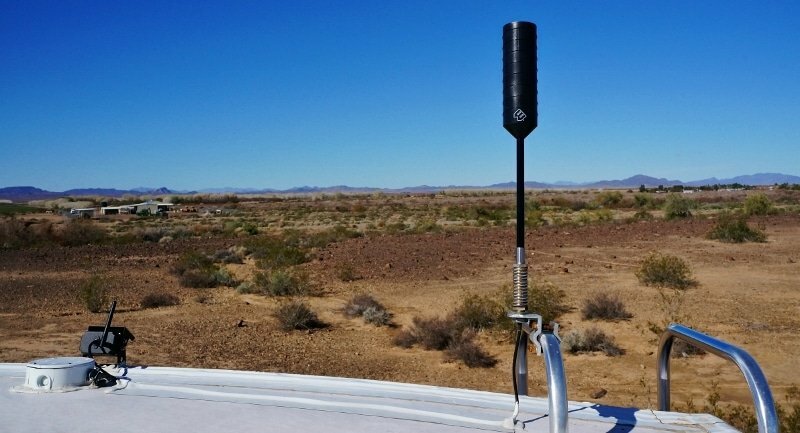 The huge step up in precision is tremendously helpful if we find the need to ration our water usage to increase a boondocking adventure far off the grid. If the fresh water tank does hit bottom I’ve modded an easy way of adding extra water to squeeze out a little more time before needing to break camp. I travel with an extra 12 gallons of fresh water in two portable jugs. To aid in filling our RV fresh water holding tank I’ve repurposed an old 12 VDC water pump and hose as a remote water pump. I soldered on a 12-volt DC cigarette lighter style plug and use the remote pump arrangement to transfer water from the jugs to the main RV tanks. Since our Keystone Cougar trailer has a waste tank capacity of 120 gallons and a fresh water capacity of 60 gallons, I can do this a few times to extend boondocking stays. An early upgrade to our boondocking arsenal was the installation of low power LED lights. I found it isn’t necessary to change out all the lights in the rig. After all, there are way too many fixtures to start with anyway. In reality, we only use maybe 5 or 6 for our day to day needs. So my advice, spend for quality, not quantity and start with the most used lamps. Look for a pleasing warm light and make sure the output level is comparable to the incandescent bulb it’s replacing. Also, make sure the led lamp has built-in power regulation of 8VDC to 30VDC otherwise it may not end up lasting. 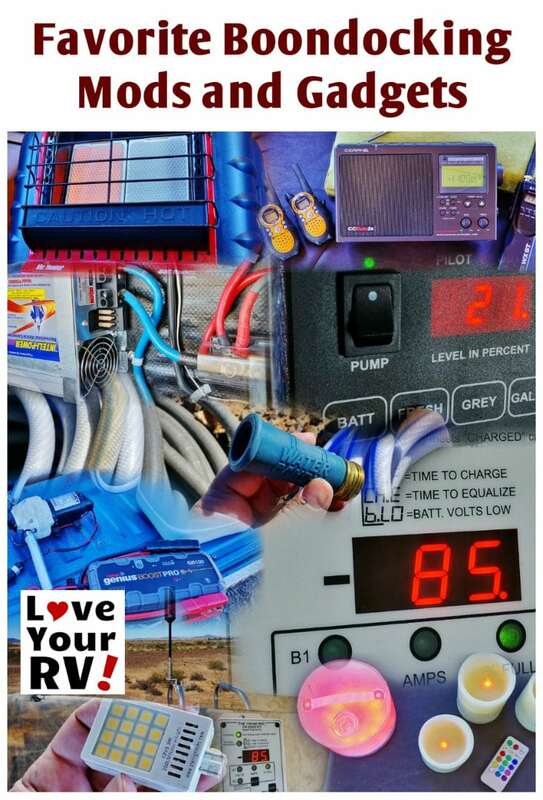 When dry camping we are charging batteries at higher voltages than say an RV park shore power tethered rig. Voltages as high a 15VDC or more aren’t that uncommon. To cut our evening power usage, even more, we utilize a pair of LED driven light gadgets. One is a solar rechargeable blow up LED lantern and the other is a set of battery powered LED candles. 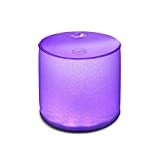 Besides lowering our battery drain at night they provide a cozy sometimes romantic atmosphere to our little, boondocked home on wheels. Another power and LP gas saving device we employ is our Big Buddy portable propane heater. It’s much more efficient power and LP gas usage wise compared to the big ducted OEM RV furnace. There are some risks to contend with when running an open flame heater in the rig. However, if instructions are followed and care taken it’s terrific for our cold desert nights during the winter. To err on the side of safety we don’t sleep with it on but from sundown at 5ish to bedtime at 10ish it earns it keep when the temps drop. I actually much prefer it’s radiant heat to our forced air RV furnace and love missing out on the annoying loud fan. When you are off the grid enjoying quiet solitude the remoteness offers the downside is often weak cell signals. Not a bad thing in some ways but it is nice to have a link to the outside world for emergencies. Early on we invested in a small cellular booster. The booster plugs into a 12-volt power socket and gives the signal a bump in power. Usually enough to make an irritatingly slow data signal useful or allow a text message to get sent or call to be made. 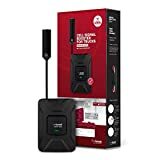 This snowbird season I installed a full blown cell booster system from weBoost, the 4G-X plus the external RV/trucker antenna. So far, thumbs up we are enjoying much stronger signals! If cell signal is zip, zero nada, it’s good to have some old school backup. I pack along a high-quality CCrane radio with an emergency weather alert mode and ham radio bands to help keep us informed. A pair of handheld 2 way walkies helps us stay in touch with each other when apart. In addition, we travel with a handheld CB radio. You never know in an emergency it may get a message out. It’s also handy when stuck in highway traffic to monitor what the truckers are saying or caravaning with other RVers. When the sun isn’t shining we are forced to fall back to the portable gas generator to charge up the ol’battery bank. Pretty quickly I found the OEM on board converter did a poor job at it. The system was obviously designed to charge a single deep cycle battery and meant for folks who generally would be on full RV park hookups. 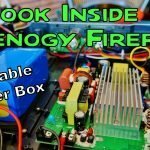 I added a high-quality battery charger in the form of a 60 amp InteliPower converter charger right beside my battery bank. Now when I use the generator to charge a depleted bank I get maximum charging efficiency, which translates into less generator run time. A good thing all around. Finding a source of potable water for our tank can sometimes be a challenge. Often we may find a tap but it’s located in an awkward spot to get the RV close to or the spout isn’t threaded. To combat these problems I carry extra hoses, enough to reach out 100 feet and picked up a handy gadget called a Water Bandit aka Water Thief. It’s an inexpensive rubber hookup to connect to unthreaded water taps. Finally, I installed an RV flagpole. A bit of fun for sure but also serves a useful purpose by making the rig more visible. 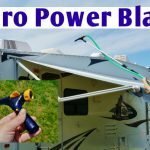 Handy when boondocked among many other RVs or when coming back from a long hike. I remember one time when camped in the Bisti Badlands parking area several day hikers thanked me. They had used the flag as a guide back when it was the first thing to appear on the horizon in their binocular lenses.